For many Jewish families, fall brings back memories of irresistible aromas emanating from Grandma’s kitchen and delicious, soul-warming feasts to welcome Rosh Hashanah, the Jewish New Year. Every family had at least one cherished “it wouldn’t be the holidays without” dish. Now it’s your turn to keep the memories alive. Pereg understands that today’s cook wants to respect old traditions while sparking new ones. A world of all-natural products — from gluten-free flour and pasta swaps to exciting spice blends and ancient grains — makes it all possible. Love Grandma’s stuffed peppers but prefer something less heavy? Lighten it up with Pereg’s Freekeh with Vegetables Mix for a healthy-carb, meat-free appetizer. Give meatballs an international spin with Thai Sweet Chili Panko bread crumbs. Make roasted veggies sing with a sprinkle of Everything But the Bagel spice mix. Seasoned breadcrumbs add zest to this versatile dish from The Set Table. It works as a hearty entrée or served with toothpicks as an elegant hors d’oeuvres. In a medium bowl, combine the ground beef, egg, panko, and onion. Mix thoroughly and shape into golf ball-sized balls (or smaller if serving as hors d’oeuvres). Gently brown the meatballs in a large skillet over medium heat. Set aside. Pereg was established in 1906, and is based in Clifton, NJ. It first became known for its vast variety of pure and natural spices and spice blends, more than 60 in all, from traditional favorites to exotics from around the culinary world. 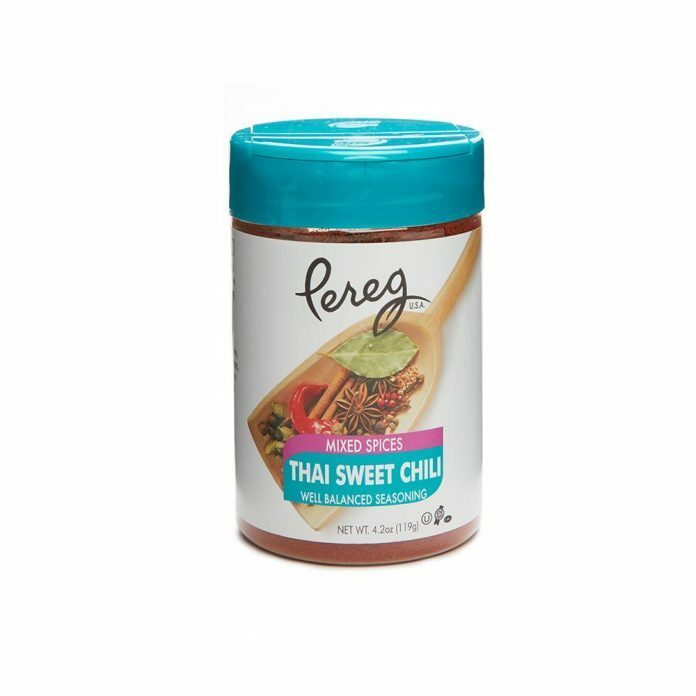 Today Pereg produces an array of all-natural products that includes ancient grains and ancient grain blends, gluten-free pasta, couscous, rice, gluten-free cereal, and much more. Pereg Natural Foods products are available at select retailers throughout the U.S. and Canada, and at pereg-gourmet.com. Pereg manufactures all its products from start to finish, controlling the quality from the sourcing until the product is packed and ready for the consumer. All Pereg products are kosher certified by both the Orthodox Union (OU) and CRC, are dairy and lactose-free as well as all natural, with no additives or preservatives. Many products are also certified gluten-free and non-GMO. Follow Pereg Natural Foods on Facebook at Facebook.com/peregnatural, Twitter @pereggourmet, and Instagram @peregnatural.